Are you moving out of your property? Are you looking for professional bond cleaning in Gold Coast? Did you spend hours scrubbing and cleaning the property but are still skeptical about the end results? Will you get your full bond money back or not? Bond Cleaning Gold Coast offers their customers security and trust which are vital components when it comes to having someone servicing your home or office. The stress of moving can be very overwhelming when life’s commitments are present. We at Ultra Clean – End Of Lease Cleaning Gold Coast will give you piece of mind and allow you to spend your precious time on more important things during the moving process. End Of Lease Cleaning Gold Coast. Providing a complete bond cleaning service with no hidden costs. 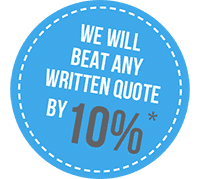 You just pay the amount in your quote unless the property is below a normal standard of cleanliness at the time of the clean. If that is the case then an adjustment of the quoted price will be required. The adjustment will always be discussed and signed off by you prior to the clean starting. Please note that this occurs very rarely. Bond Cleaning Gold Coast. Taking pride in our work and offering a dedicated, first class service to our customers. Our typical bond clean offers a range of bond cleaning services including; dusting, mopping, vacuuming, soap scum removal and all internal walls spot cleaned. We are also offering extra services to our customers as well. These extra services can be found on our bond cleaning checklist and can be added to your quote. Contact Ultra Clean to book your free no obligation quote today on 1300 800 362 or click on our instant quote form to receive a 30% discount on your clean. 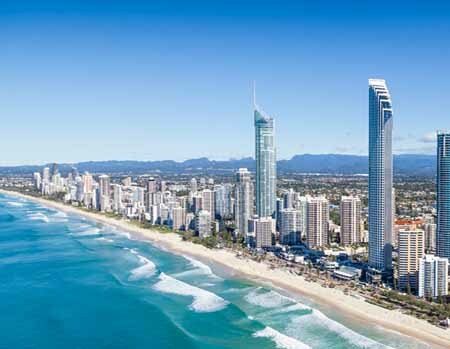 The Gold Coast is a metropolitan region south of Brisbane on Australia’s east coast. It’s famed for its long sandy beaches, surfing spots and elaborate system of inland canals and waterways. Gold Coast is not only has reputation for its beautiful beaches, it is also well-known as a great place for night life. The nightlife in the Gold Coast is bursting with fun and excitement. When nightfall comes, Surfers bursts into action with 24-hour excitement. Bars and nightclubs start pumping with live music and dance beats, while non-stop events keep you entertained.